Moto G5S Plus, which was launched along with the Moto G5S in India last month, is now available in one more color options, Lunar Grey. The handset is now listed for sale via Amazon India for Rs. 15,999. 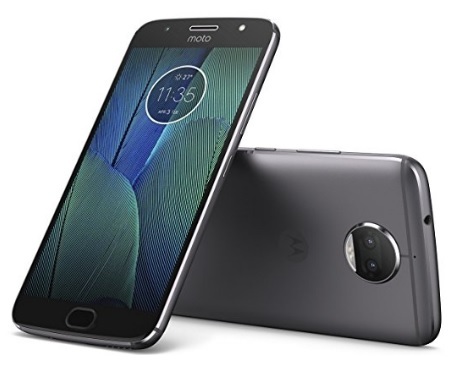 Initially, the handset was only available in Blush Gold variant, but now with the introduction of Lunar Grey, there is a total of two color options in which the Moto G5S Plus is available. The highlight of the Moto G5S Plus is its dual camera setup at the rear, both come with a 16-megapixel sensor. On the front, there is an 8-megapixel snapper with a f/2.0 aperture, wide-angle lens, and an LED flash. Other specifications of Android 7.1 Nougat running Moto G5S Plus are a 2.0GHz Snapdragon 625 octa-core processor, a 5.5-inch full-HD (1080×1920 pixels) IPS LCD display, Corning Gorilla protection, 4GB of RAM and 64GB of internal storage. It packs a 3000 mAh battery, fingerprint sensor embedded in the Home button, and also include 4G VoLTE, Wi-Fi 802.11 a/b/g/n (dual-band 2.4GHz and 5GHz), Bluetooth v4.2, GPS/ A-GPS, Micro-USB, and 3.5mm headphone jack.